OPEN EVERY SUNDAY UNTIL CHRISTMAS!! Don’t forget, as the winter weather closes in, that we are OPEN EVERY SUNDAY right up ’til Christmas!!! With lots of carbooters braving the cold weather outdoors, our many excellent new and regular stalls on the INDOOR & OUTDOOR markets and a selection of quality food and coffee outlets, there’s still plenty worth visiting us for this Sunday. And look no further for all of your Xmas decorations, gifts, wrapping paper etc etc!!! See you down the market this Sunday!!! This entry was posted in Carboot Sale, Indoor Market, Market & Carboot Organisers, News & Updates, Outdoor Market, Traders and tagged car boot sale, Carboot Sale, East Yorkshire, hull, Indoor Market, Market, north cave, Sunday on November 21, 2015 by northcavemarket. North Cave Sunday Market and Carboot is a long-running Sunday Market and Carboot Sale open every Sunday between January and December from 7am to 1pm, with FREE PUBLIC ADMISSION. Here at North Cave we have a fantastic selection of traders and carbooters selling everything from fruit and veg, flowers, plants, household cleaning products, pet food, timber, bicycles, fishing tackle, clothes and toys to cards and crafts, homebaking, free range eggs, butcher, newspapers, garden ornaments, gardening supplies, tools old and new, furniture and antiques and much much more. For a closer look at what’s on offer, take a look at our Gallery, where you’ll find some snaps of just a few of our many regular stalls. There really is something here for everyone! There are a host of new stalls and regular old favourites each week and we also have catering outlets and vans that offer a wide range of food, drinks and refreshments. We have both an indoor and outdoor area, which means we’re open whatever the weather, come rain or shine! We pride ourselves on being a fun and family friendly market and welcome children and dogs and all the family; we have ample free parking and have new toilet facilities recently installed. So, for bargain prices and stalls selling everything you can think of, all with a great fun and friendly atmosphere, come down and join us this Sunday! This entry was posted in Carboot Sale, Indoor Market, Market & Carboot Organisers, News & Updates, Outdoor Market, Traders, Uncategorized and tagged Car boot, car boot sale, Carboot, East Yorkshire, Market, north cave, north cave carboot, Sunday Market on April 13, 2013 by northcavemarket. Easter Sunday is market and carboot day down at North Cave Sunday Market & Carboot Sale! We’re open as normal from 7 ’til 1, with even more new and exciting stalls, some decent weather on the horizon (for a change!) and lots to see and do, there’s no better place to spend your Easter Sunday morning. So come down to North Cave tomorrow with all the family and grab some fantastic bargains!! This entry was posted in Carboot Sale, Indoor Market, Market & Carboot Organisers, News & Updates, Outdoor Market, Traders, Uncategorized and tagged car boot sale, Carboot, East Yorkshire, Easter Sunday, Market, north cave, Sunday Market on March 30, 2013 by northcavemarket. Business As Usual at North Cave! The snow is clearing in this little corner of East Yorkshire and there’s a sunny(ish) morning on the cards, so it’s business as usual tomorrow at North Cave Sunday Market & Car Boot Sale! We’ve got even more new stalls starting this week and all the old regulars so come on down tomorrow morning to see what’s on offer! This entry was posted in Carboot Sale, Indoor Market, Market & Carboot Organisers, News & Updates, Outdoor Market, Traders, Uncategorized and tagged Car boot, Carboot, East Yorkshire, Market, market organisers, north cave, Sunday Market on March 23, 2013 by northcavemarket. New Stalls at North Cave Sunday Markety & Car Boot! It’s a beautiful day here in East Yorkshire and we’re all geared up for another market and car boot day here at North Cave! With a host of new and exciting stalls on the market selling amazing new and used products, fantastic food and drink outlets and a large car boot sale outside, there’s plenty to keep the whole family interested this Sunday down at North Cave Sunday Market and Car Boot Sale. This entry was posted in Carboot Sale, Indoor Market, Market & Carboot Organisers, News & Updates, Outdoor Market, Traders, Uncategorized and tagged Car boot, Carboot Sale, East Yorkshire, Market, Market & Carboot Organisers, Sunday Market on March 2, 2013 by northcavemarket. 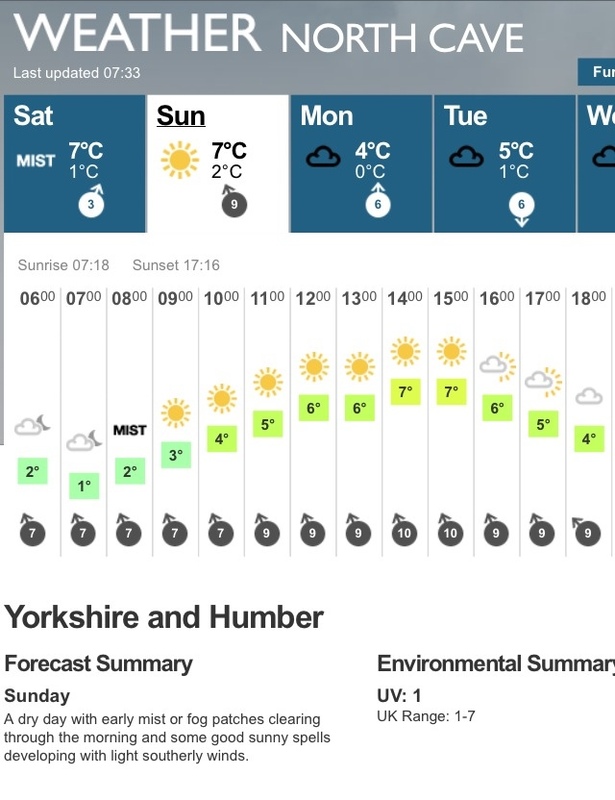 The sun is coming out to play at North Cave Sunday Market & Car Boot Sale tomorrow, Sunday 17th February!! There’ll be lots of carbooters and traders selling new and used bargains both indoor and outdoor so come on down for a great Sunday morning for all the family! We’ll be open to the public from 7am ’til 1pm, see you there!! This entry was posted in Carboot Sale, Indoor Market, Market & Carboot Organisers, News & Updates, Outdoor Market, Traders and tagged Car boot, Carboot, Market, Sunday, Sunday Market, sunny, traders on February 16, 2013 by northcavemarket. Bad weather forecast? We’ve got it covered! No need to worry about the weather forecast, at North Cave Sunday Market & Carboot Sale we’ve got it covered. With an INDOOR Market boasting a huge selection of stalls selling new and second hand goods and services aswell as the food and drink outlets, butcher, fruit and veg, pet food and lots more, there’s plenty going on as usual. We’re here every week no matter the weather, so get wrapped up and come and pay us a visit down at North Cave Sunday Market & Carboot Sale!! This entry was posted in Carboot Sale, Indoor Market, Market & Carboot Organisers, News & Updates, Outdoor Market, Traders and tagged Carboot, Carboot Sale, East Yorkshire, Indoor Market, Market & Carboot Organisers, Outdoor Market, Retail, Sunday Market, Weather forecast, Yorkshire on February 9, 2013 by northcavemarket.